As the fourth-largest port of entry for travellers flying to the U.S.A., Pearson International Airport handles more than 5.5 million such passengers annually – and the wait for US CBP Customs and Border Protection can be long. 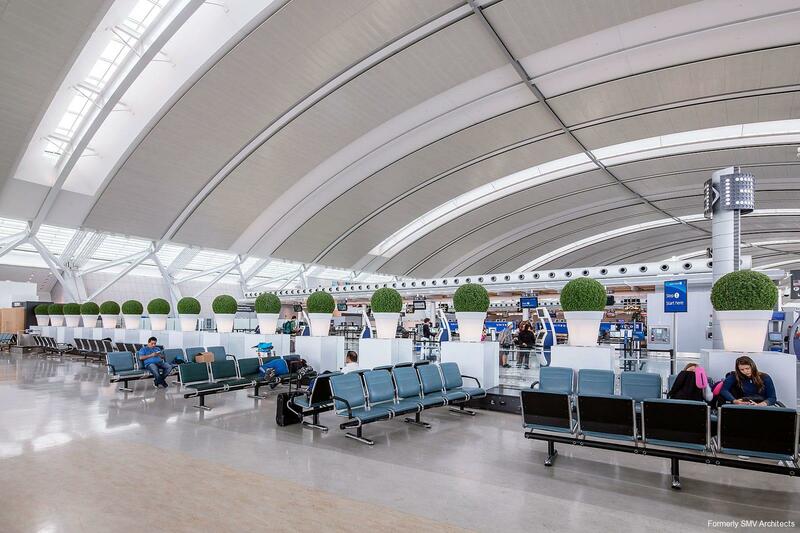 To improve efficiency and the passenger experience, the GTAA asked us to transform a 20,000 sf partially unfinished expansion space into an overflow waiting area with seating for 480 people. 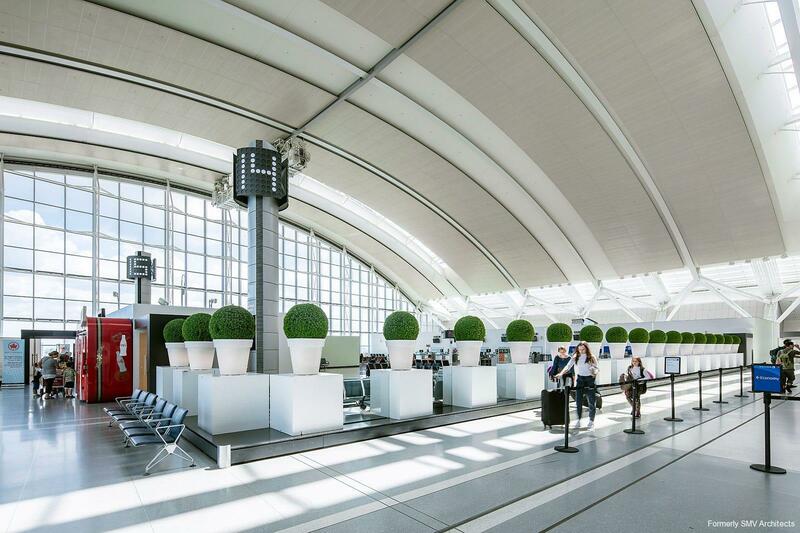 They wanted it to be clearly separated from the very busy international check-in areas nearby, and it had to be completed within two months. 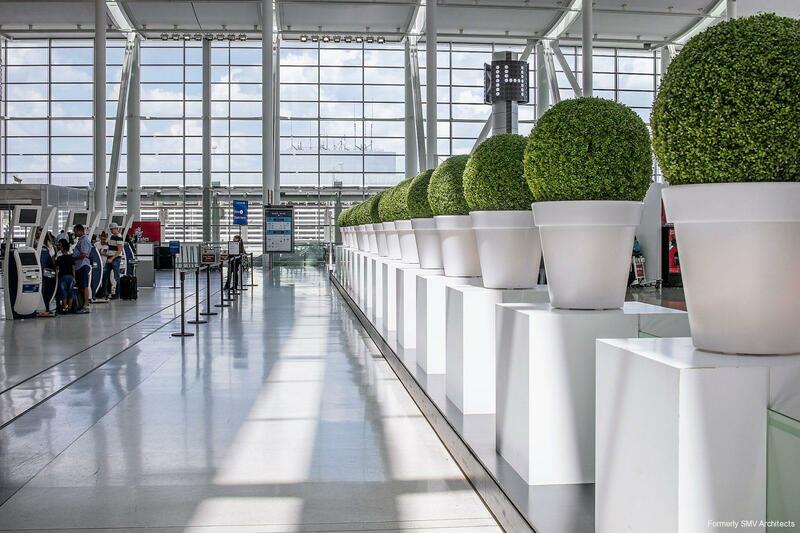 We created an indoor “garden café” that was a fun and lively addition to the terminal. In addition to 480 seats, Lounge 15 comprises a customer service desk, children's play area, WIFI, televisions, flight information displays, and vending machines for passenger comfort and convenience. At three gateway portals, passengers enjoy the various conveniences in comfort while, just outside, scores of international travellers are checking in. 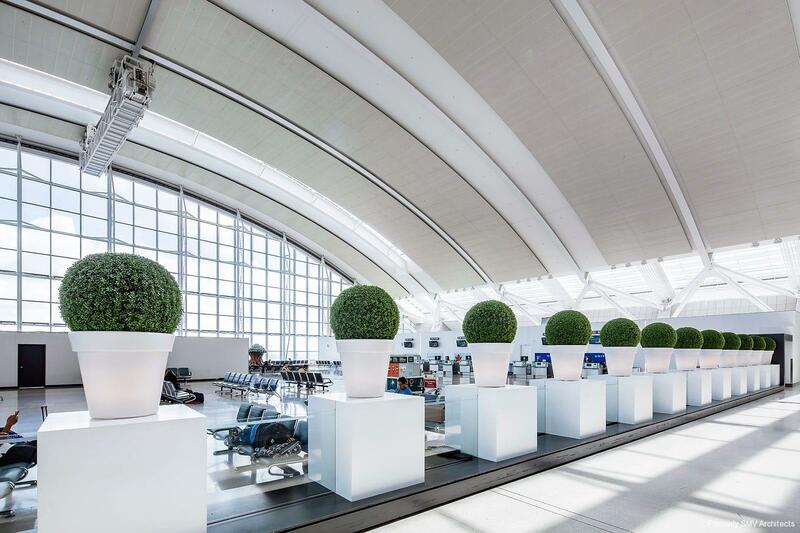 The demountable millwork enclosure comprises a plinth topped with frameless glass panels, lit from below, in a staggered pattern separating artificial topiaries in large white illuminated planters. The lighting is programmable LED with shifting colours, creating continuous interest. Although often completely occupied with passengers and luggage, the Lounge feels spacious and open, filled with light, and demarcated from the surrounding hubbub with an unexpectedly witty, simple, temporary barrier.